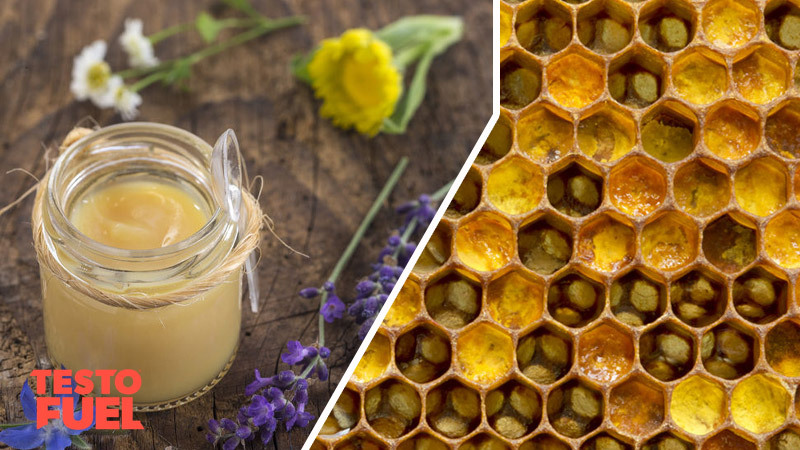 Does Royal Jelly Affect Testosterone? It is important for the modern man to optimize his testosterone. Get your levels right and you’ll increase your athleticism and masculinity. Let your levels drop and you’ll develop belly fat, lose muscle mass and strength, and find a drastic reduction in virility and sexual performance. In order to boost your T levels you’ll need to follow a good-quality exercise program and follow a diet and supplement regime that is rich in testosterone-raising nutrients. One nutrient that is sometimes associated with male hormone boosting is royal jelly – a bee secretion that is popular in China, Japan and Korea. But does royal jelly boost testosterone or is it just another nutrient with little evidence to back up the claims? Royal jelly (RJ) is a milky fluid secreted from the glands of worker bees between the sixth and twelfth days of their lives . It is otherwise known as bee saliva, honey bee milk and bee jelly. It is a substance made up of mostly water, but contains amino acids, simple sugars and fatty acids. It also contains a range of antibiotic and antibacterial compounds, as well as vitamins and minerals. It doesn’t contain any dietary fiber however. Due to its composition it is a high-calorie food, providing around 35 kcal per teaspoon – similar to coconut oil and peanut butter. Queen bees are fed exclusively on RJ for the duration of their lives. As such they are able to trigger a growth in size, extend their lifespan and develop queen morphology such as ovaries needed to lay eggs. Although primarily a source of nutrients for the queen bee, human consumption of RJ has become increasingly popular. It has been reported to provide benefits for a number of health conditions including high cholesterol, kidney disease, high blood pressure and pre-menstrual relief. However, at present there is a limited amount of evidence that RJ is beneficial in clinical settings. The general and current consensus is that there is insufficient evidence to rate it as effective. Currently, the Food and Drug Administration (FDA) have not granted this nutrient an approved status for medical use. Nor has it been granted ‘generally recognized as safe’ (GRAS) status. Royal Jelly and Testosterone – What Do The Studies Say? RJ does in fact contain testosterone – not a booster or mimetic, but traces of the actual hormone . The reason for this may be due to the fact that pollen itself contains small amounts of testosterone, or even that RJ comes from the salivary glands of worker bees. Regardless of the actual mechanisms though, it would seem reasonable to suggest that the testosterone component of RJ could positively affect male androgen levels. However, in reality it is very unlikely though that this will help build muscle or improve strength due to the minuscule quantity you’ll find it in. But does it raise testosterone levels? In short, studies are inconclusive. It is an understudied nutrient so time will tell once more research is released. A search of relevant research shows a small number of studies that may be useful in determining its effectiveness. Once the animal research has been excluded (because it’s less relevant and doesn’t always crossover to humans) there are a very limited number of studies to draw upon. 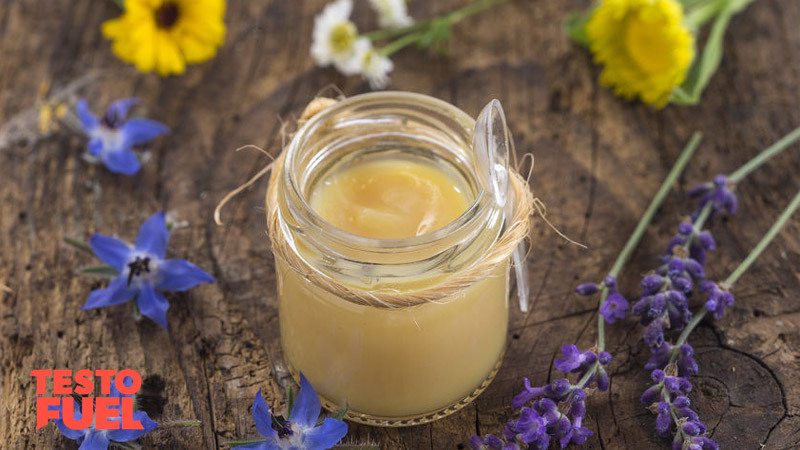 One study reported that testosterone levels rose by 22% when royal jelly was supplemented over a 4-week period – they did use a very large dose of 6g per day though . Another study, published in the Journal of Alternative & Complementary Medicine , reported less convincing results. It showed a statistically insignificant effect when 3g of RJ was used on a daily basis over a 6-month period. Royal jelly needs a lot more human testing before anyone can confidently say that it raises testosterone levels. It appears to show some promise but research is currently nowhere near discovering an optimal dosage or in fact whether it actually works. The biggest concern with this food is allergic reaction. Anyone who has an allergy to pollen or has respiratory issues needs to avoid it. RJ has been linked to acute asthma, anaphylaxis – a severe form of allergic disease – and even death. One study, published in Clinical & Experimental Allergy  found that a number of adverse reactions had been reported in a sample of 1400 participants. Researchers suggested that anyone with potential for allergic reaction are at a high risk of hypersensitivity and therefore should avoid it completely. Amongst the reported side effects, the most common included rashes and eczema, rhinitis and asthma. There are also a number of published individual case studies detailing cases of allergic reactions. In one, a 33-year old Japanese male developed severe itchy and red skin, vertigo, numbness in the fingers, shortness of breath and intermittent loss of consciousness . The patient was diagnosed with anaphylaxis due to royal jelly ingestion. 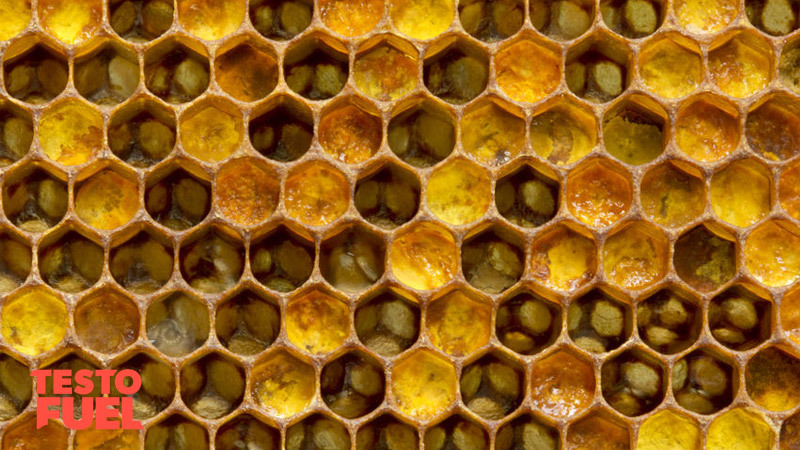 Royal jelly is a milky fluid secreted from worker bees. It is made for the sole intention of helping the queen bee to develop ovaries, increase in size, and extend lifespan. It is becoming increasingly popular as a health food and some people are now using it for its supposed testosterone-boosting properties. At present it is a very understudied nutrient with little evidence to back up the claims that it can optimize low androgen levels. Currently, it is not FDA approved nor has it been granted GRAS status. Although potentially quite promising, we suggest that until more evidence is made available, you consider using an alternative source of nutrients to improve your T levels.